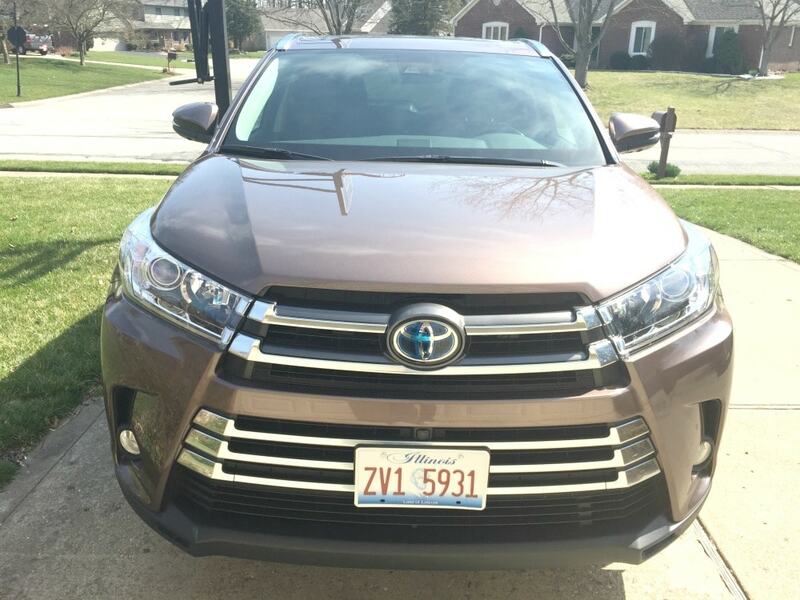 We are grateful to the people at Toyota and DriveShop for allowing us to find the best vehicle for families by allowing us to test out this Toyota Highlander Hybrid for a week. All opinions are 100% ours! I know it is spring when my daughter’s beautiful “Magic Tree” arrives outside her window. She believes that our Cherry Blossom, when blooming in the Spring, has magical powers and protects her from all of the things that go bump in the night. When it starts to bloom, I know that fun times at the pool, yard work and cookouts on the deck are not far behind. 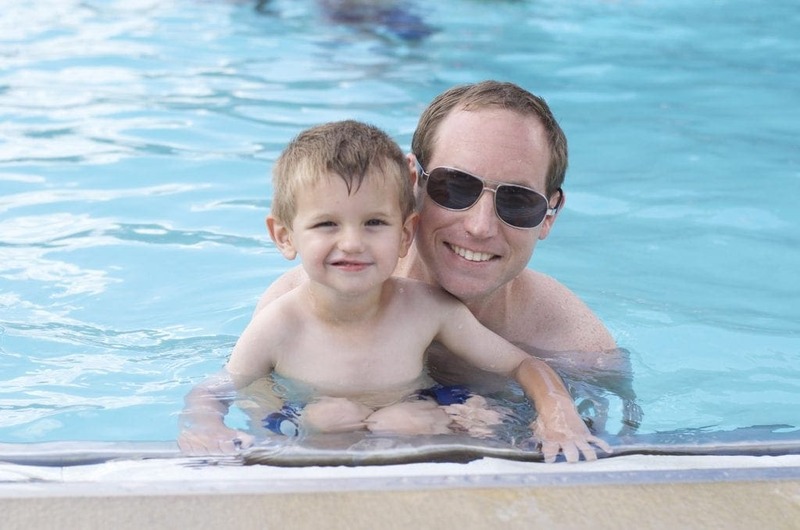 I also know that it is about time for our annual family spring break trip. I remember, as a child, taking trips with my family every March. 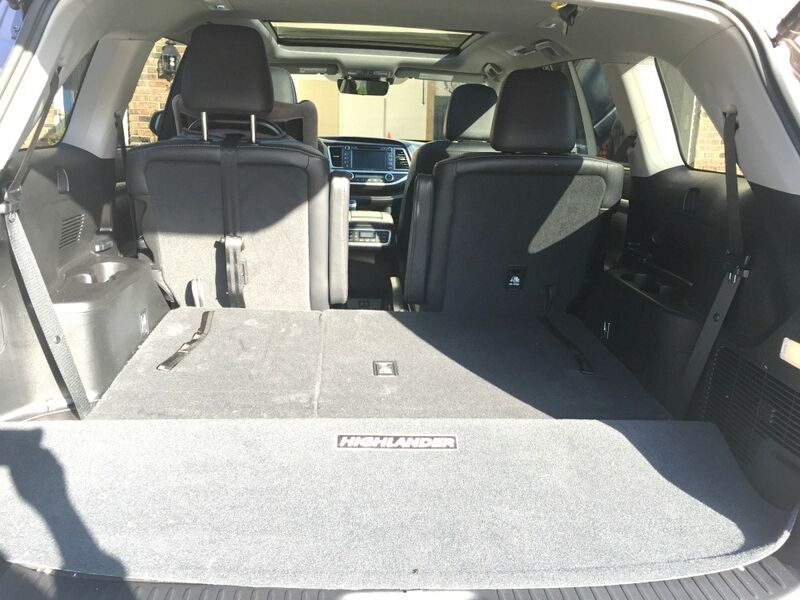 We would load up into my mom’s Toyota Highlander and head out to our fun filled vacation. Sometimes we would head to Colorado, sometimes to Florida. But it was always a long trip in the car. I don’t know how many miles we put on that Highlander during those trips, but I do know that when my mom finally traded it in just a couple years ago, it had well over 200,000 miles on it and was still going strong. As much as she loves her brand new car, I know that she still misses that old Highlander and the fun times we had in it. 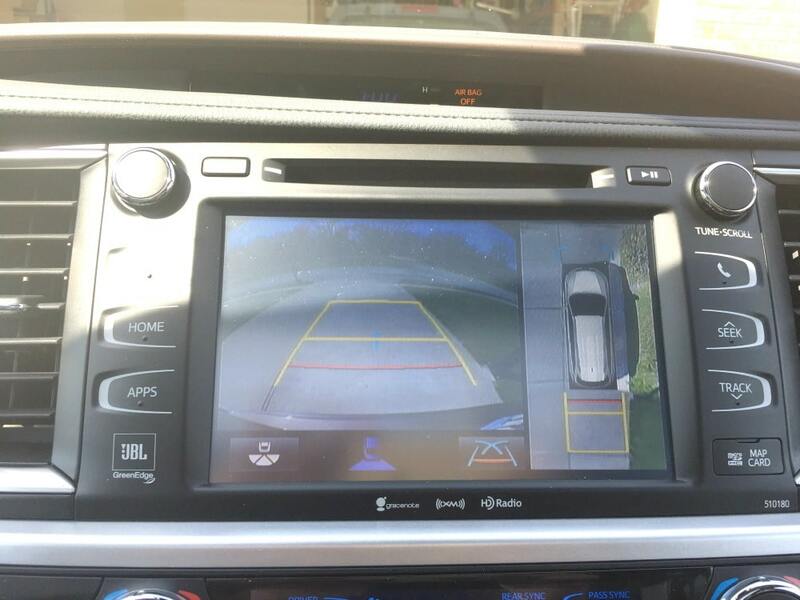 This is why I was excited to tell her that we would have a chance to review a new 2017 Toyota Highlander Hybrid. On our search to find the best vehicle for families, I was interested to see what new ideas Toyota had come up with for their landmark entry into crossover hybrid SUVs. The first thing that struck me when I saw it in our driveway was how sleek it looked. It was quite a first impression. It has an updated front fascia and headlights. It looks, in a word, very sharp and modern. We loved the color of it as well. It was one of those colors that looks slightly different in different light and no one in our family could quite agree on exactly what it was. I later looked it up and found out it was called Toasted Walnut Pearl. There are four different trip options for the 2017 Toyota Highlander Hybrid: LE, XLE, Limited and Limited Platinum. We were fortunate enough to have the fully loaded Limited Platinum for the week (thanks Toyota!). While the LE is many great standard features that all the Highlanders will have, once you get one step up to the XLE, the amenities really start piling on. By the time you get to the Limited Platinum model that was sitting in front of our house, you really have a luxury car on your hands. This luxury starts on the exterior with smoked-chrome headlight housings and 19 inch 5-spoke Dark Chromotec alloy wheels. Standard on all the Highlanders are their new Daytime Running Lights (DRL) which really make this vehicle stand out on the road. Once I opened the door and stepped into our Highlander, I was really pleased with how it felt to sit in the driver’s seat. It had a very classy feel to it. There was a shelf that lined ran across the dashboard right under the touch screen that I really liked. It is the perfect place to put your keys or your cell phone. Everything was laid out within easy reach, especially for a larger car like this. Looking up, I saw the panoramic sunroof which I absolutely love! Unfortunately, we had pretty bad weather here in the Midwest that week so I wasn’t able to use the sunroof much. There were also several USB ports in the Highlander, two up front and two more in the back to keep those personal electronic devices charged for those long spring break trips. There is the possibility of having rear-seat entertainment but our vehicle did not have this. The entertainment system comes with a 9-inch display screen, RCA jacks, a remote and two wireless headphones. 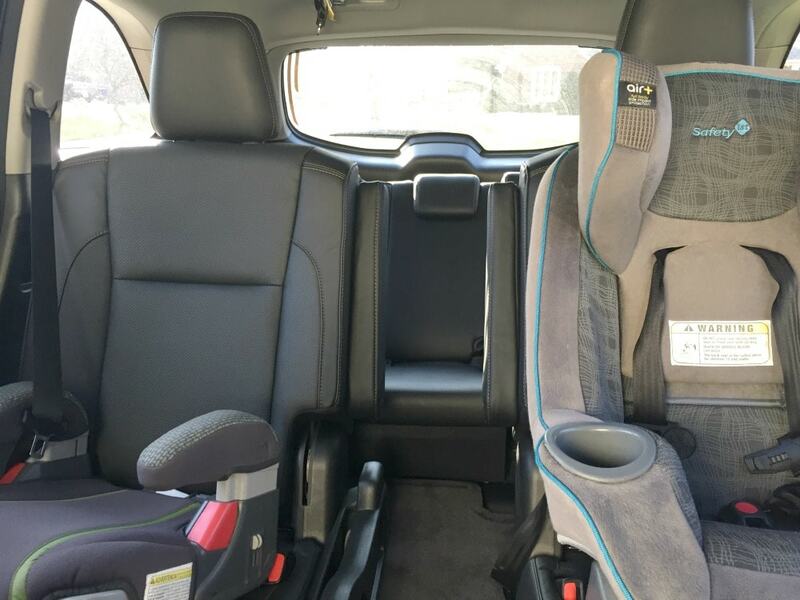 The interior is very spacious, with lots of room for my kids to climb in and out of the back seat. And plenty of room for my daughter’s car seat. You have the option of flipping up a third row of seating in the back, which is perfect for us and all our carpooling needs. Converting the third row seating literally takes about 5 seconds. Amazing. I hadn’t even started the Highlander up yet and I was already pretty impressed. Ok, VERY impressed. I have never driven a hybrid before and was initially a little disconcerted when I pushed the ignition and didn’t hear the familiar sign up the engine turning over. I wasn’t sure what to do so I put it in reverse and, to my amazement, the car started moving! I generally have always owned fairly small vehicles. 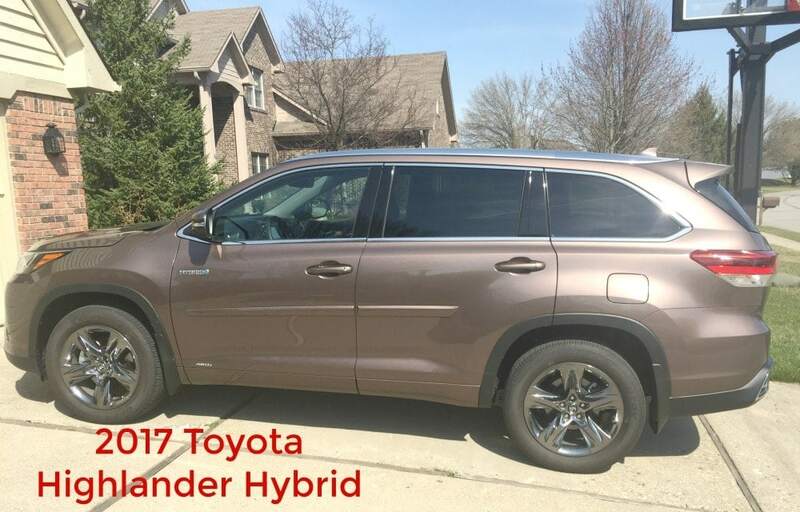 So, even though the 2017 Toyota Highlander is considered a crossover SUV, it is still a pretty large vehicle by my standards. I was really amazed with how it didn’t “feel” big on the road. It handled well and had enough zip to do everything I needed it to do. With its 3.5 liter V6 combined with an electric motor, it gets almost 300 horsepower while still maintaining about a 30 city and 28 highway mpg. One thing I discovered upon reading about the Highlander is that it has a 35000-pound towing capacity. Again, I didn’t know a lot about hybrid engines but it never occurred to me that it would even be an option to two something behind them. This is no problem for the Highlander. So this is certainly something to keep in mind for those trips when you may need to tow a trailer. The hybrid option does increase the price of this vehicle fairly dramatically. Obviously, one would hope that the money saved on gas over the life of the vehicle balances this out. Also, there is the warm feeling you have from lowering your carbon footprint! Safety. Is there any other feature more important for your family’s car? This is a very safe vehicle. Equipped with their Toyota Safety Sense P (TSS-P), this SUV will get you from home to your vacation destination safely. My favorite feature was probably the Dynamic Radar Cruse Control. This sense exactly how fast the car in front of you is going and, if you are in cruise control at a greater speed, it decelerates you to match that speed. Then, if you change to the other lane of the highway and are no longer behind that vehicle, it will automatically rev you back up to your original desired speed. This makes for a very stress free trip on long distances. The Highlander is equipped with the Lane Departure Alert (LDA). This feature sense the painted lines in the road and will beep at you if you start to deviate. If needed, it will also gently correct your line of driving. It also has the Pre-Collision System with Pedestrian Detection. Your Highlander’s computer will be scanning your surroundings for any possible dangers and will alert you to potential situations. Again, if needed, this car will actually brake for you to avoid the collision. This actually really works! I was coming up behind a car at a stop sign and I guess the Highlander didn’t think I was braking fast enough (I had plenty of time!) and it started beeping at me and I felt the brakes start to engage. Wow. To be honest, all the beeping did get a little annoying. None of us are perfect drivers and if a hugged the right line on the road a bit, I would get chastised by the car every time. But these features are very easy to disengage if you choose to do so. In short, my spouse and I are in agreement that this is the best car we have ever gotten a chance to review. No doubt about it. It was amazing. We hated to give it back and I was hoping that Toyota forgot that they gave it to us. But, alas, after the week was up, they came and took it back. Honestly, we will probably never own one of these, it’s cost is a little out of our reach (our sticker was just under $50,000) and boarding on actual “luxury” car price point. But, with all the wonderful features, the powerful hybrid engine and the roomy interior, this is a fantastic option for your family if you can afford it. Are you looking for the best vehicle for families or do you have a Toyota Highlander? We would love to hear your thoughts in the comments below or on any of our social media channels.